Finding probability is a statistical method of assigning a numerical value to the likelihood that an event will occur. Any statistical experiment has two outcomes, although either or both of the probable outcomes can happen. The value of probability is always between zero and one and the sum of probability must always equal one. The classical method of determining probability is used if all of the probable outcomes are known in advance and all outcomes are equally likely. 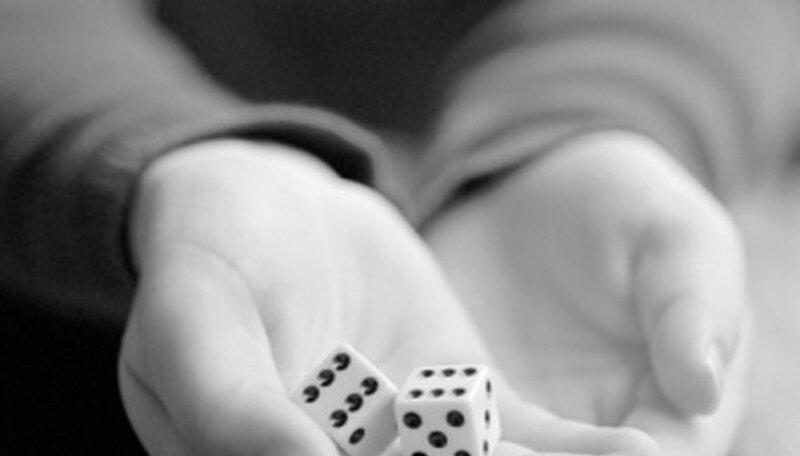 The best example of the classical method of probability is rolling a die. With a six sided die, the six possible outcomes are known to you in advance and it is as likely that you will roll a one as it is that you will roll a six. The relative frequency method is used when all probable outcomes are not known in advance and all of the probable outcomes are not equally likely. This method uses similar statistics from a previous but similar instance. An example of how the relative frequency method would be used would be a store owner placing orders based on the previous year's sales. The information needed to apply the classical method is not available but similarly reliable information is. The subjective method is used when all probable outcomes are not known in advance, all of the probable outcomes are not equally likely and there is no similar statistical data from previous experiments available to use. This method is based on opinion, previous experience or knowledge, which is why it is called the subjective method. After the prediction as to the outcome is made, you can go back to this method and refine the data. Probabilities can be used to assess risk, both in the sense of insurance and in the chances of events occurring. Probability can also be used to evaluate endangered species and the likelihood of extinction. Forecasting weather also utilizes probabilities. Probabilities can be represented verbally, with numbers, with tables or graphs, charts or models and in algebraic sentences. Understanding probabilities has many uses in understanding the likelihood of all kinds of events. Rodriguez, Bailey. "Methods Of Probability." Sciencing, https://sciencing.com/methods-probability-8636210.html. 24 April 2017.